“That’s what we do really: we do miracles,” said Anne-Marie Nyiranshimiyimana, who learned masonry in helping to build the Butaro Hospital, a project designed for and with the people of Rwanda using local materials. This, and other projects designed with dignity, show the power of good design. 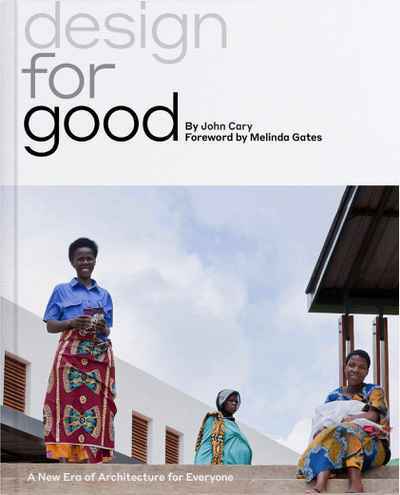 In Design for Good, John Cary offers character-driven, real-world stories about projects around the globe that offer more—buildings that are designed and created with and for the people who will use them. The book reveals a new understanding of the ways that design shapes our lives and gives professionals and interested citizens the tools to seek out and demand designs that dignify. Featured as one of 2017's best architectural books in World Architecture Community's "Top 10 Architecture Books Of 2017"